The original plan was to take the Ural down to Anchorage but Saturday morning brought winter-like temperatures to Fairbanks. I really didn't want Bridget's first sidecar trip to fail due to temperatures so we fell back to plan #2. We took the Prius. A plus is that it gets way better gas mileage than the Ural, holds more stuff and will easily cruise at the spead limit. Mt. 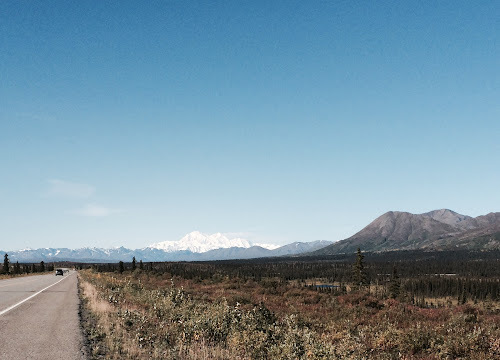 Mckinley was out in all it's splendor and from Canwell to Willow, people were pulled off the road to take pictures. I really wish that I had brought a better camera on this trip as all I had was the iPhone. This is the view from about five miles south of Cantwell. 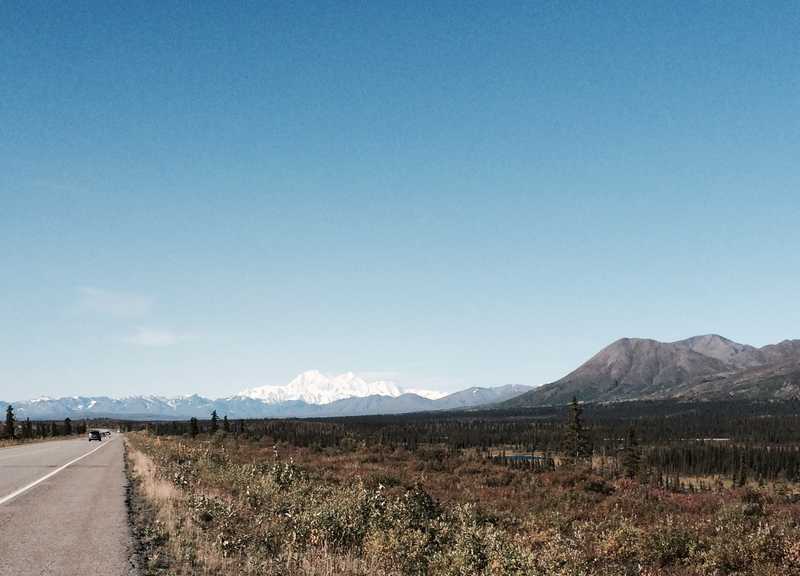 On Saturday evening, we went to the Alaska State Fair in Palmer and the crowds and traffic jams were unbelievable. This is the last weekend for the fair so I think that it was more crowded than usual. I had not been to the Palmer fair since about 1984 and it looked and felt huge compared to the Fairbanks fair. These were some pretty flowers outside one of the buildings. 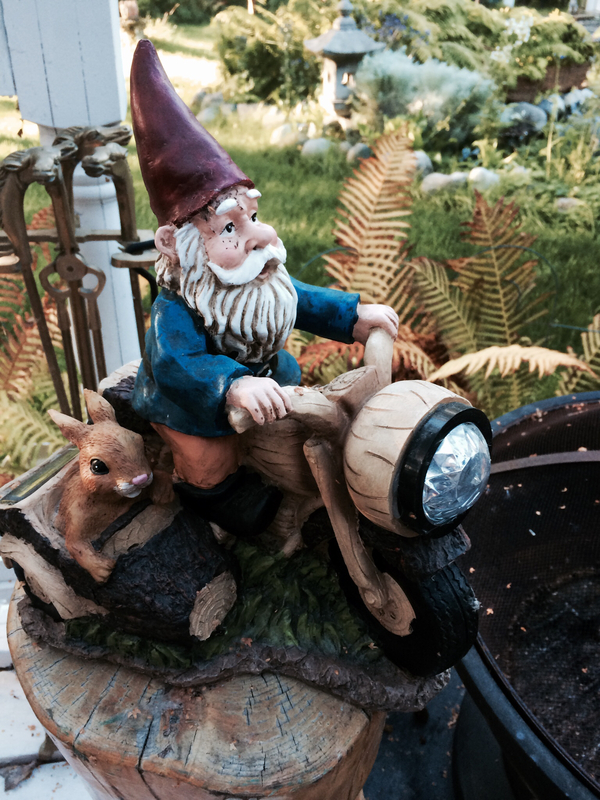 A few other readers probably recognize this gnome and know where we are staying during our visit. Fellow sidecarists, Bob and Sharon opened up their guest home for us and took us all around the area, including putting up with the crowds at the Palmer fair. This gnome statue is solar powered and the headlight lights up when it gets dark. Very cute. 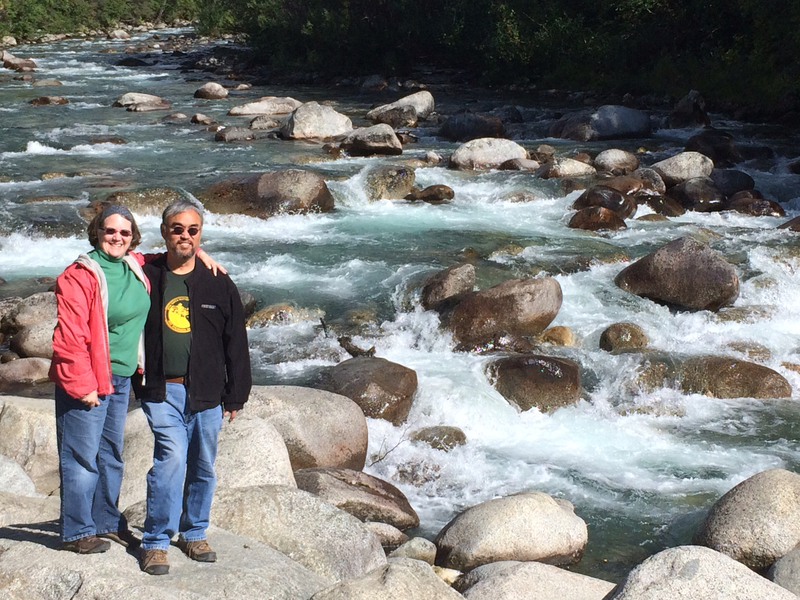 On Sunday, Bob and Sharon took us up to Hatcher Pass from the Palmer side. 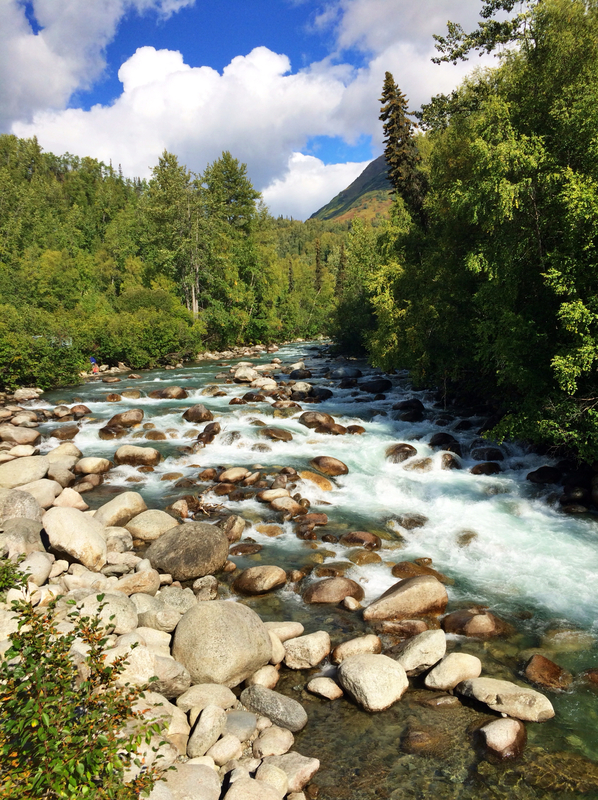 This is the Little Susitna River. It turned out to be a very nice day with beautiful, blue skies and Bob and Sharon are a wealth of information about the history of the local area. Another photo of the river on the left. Below, the pano is taken from the pass, elevation about 3,500' and, as you can see, we are well above treeline. There were a number of para-gliders launching from the pass and it was fun (though pretty cold) watching them play on the thermals. This small lake would have been behind me when I took the pano shot above. And the actual pass is up the road on the left. 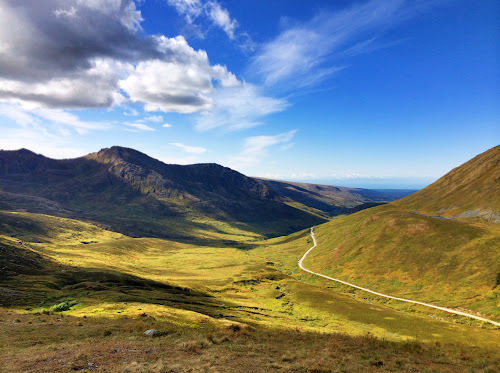 An HDR photo taken from the same area. 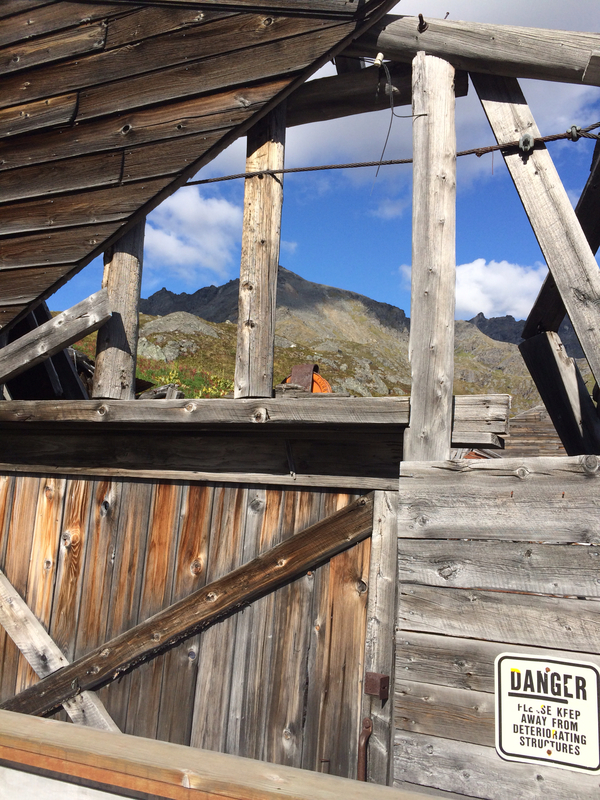 After coming down from the pass, we went to Independance Mine now being managed and restored by the forest service. Slowly some of the buildings are being restored. This area was an active gold mine until 1951 though production was shut down during WWII as a non-essential activity. This photo was taken from the museum looking towards the housing and power plant. The pano below was taken from the trail to the water tunnel seen in the upper right pane in the picture on the left. Most of the structures are collapsing as the environment in this area is pretty harsh with a lot of snowfall and wind. 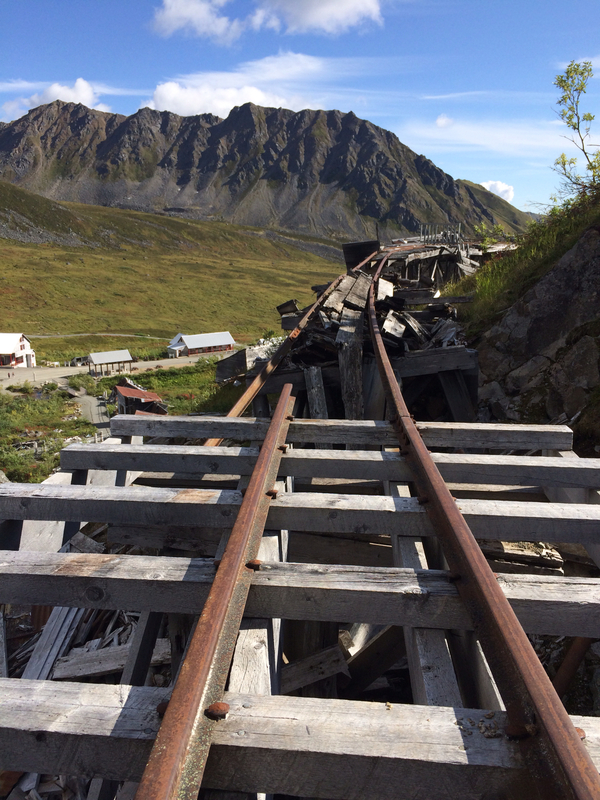 An old mine railway leading toward the power plant from the water tunnel. 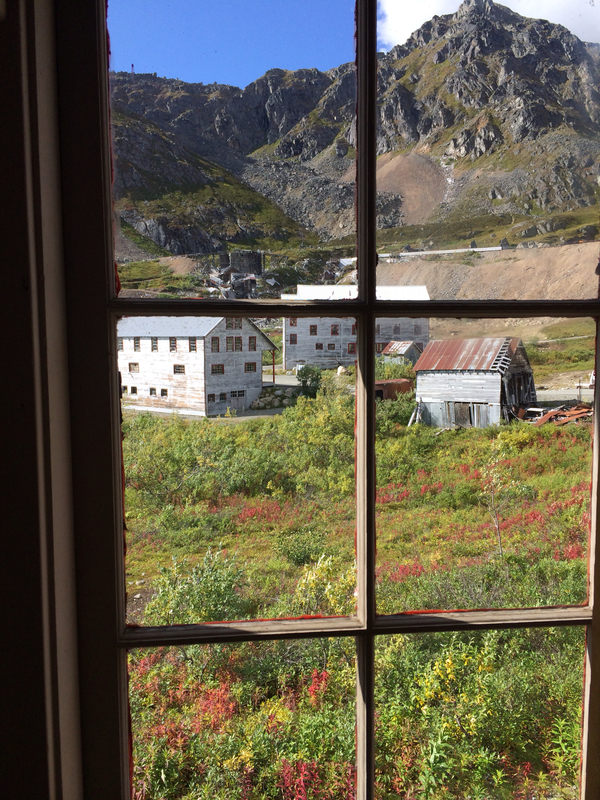 One last photo looking from the lodge towards the mine site. This was a beautiful area. 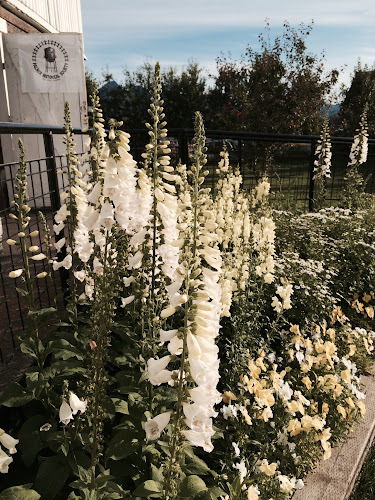 Thanks to Bob and Sharon for sharing "their backyard". Bob and Sharon's guest house is great isn't it? Lots of stuff to look at, comfy, all the conveniences of home....great hosts, what else is needed? 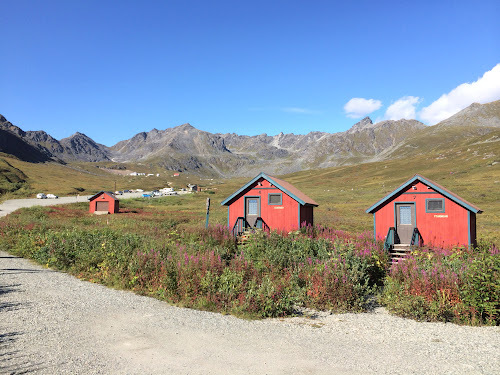 Thanks for the pictures of the Hatcher Pass area, though I still like it better with snow all over the place....its good to see what things look like in the summer. It's a wonderful guest house and Bob and Sharon are fantastic hosts. 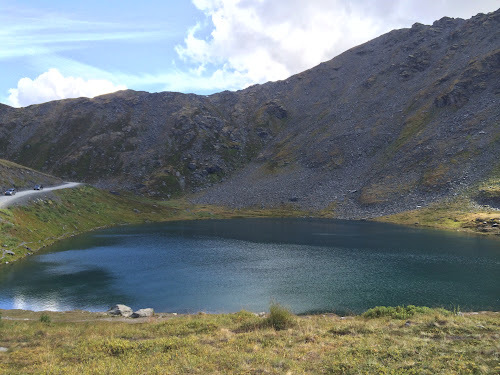 I've never been to Hatcher Pass before so that was a real treat. That is a lot of snow on Mt. McKinley! Is that usual for August? The sky in your pictures is simply beautiful. Not an unusual amount of snow on McKinley. Especially as this is the north/east facing slopes. I think above about 5,000 ft is always snow covered. The skies were exceptionally nice up at Hatcher Pass. Richard I think your iPhone did a pretty decent job at capturing the pics. Very picturesque! So when is the usual first snowfall? First snow is usually mid-September but the first snow that sticks isn't until October. But there have been exceptions. Hard to think of chilly temperatures already. 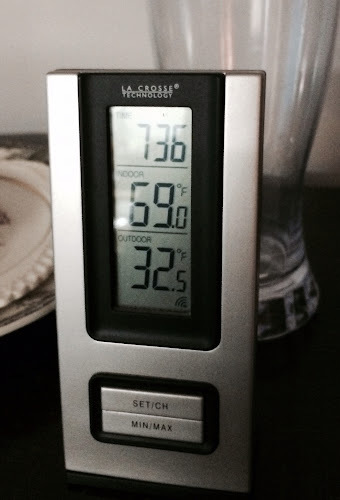 We too enjoyed a cooler Saturday. I am glad you had a great time and took pictures for us. Sure is beautiful around there. The iPhone did just fine. It was really beautiful up Hatcher Pass. I had no idea. Richard, can you explain "non-essential activity" in a couple of sentences please? Apparently, gold wasn't considered important for the war effort and the labor being used to mine it was needed elsewhere. So "non-essential" was determined by the U.S. government or the war dept. Wow, Richard these pictures are awesome. Taken with the iPhone, really? Good job! Bob and Sharon's 'backyard' is quite something.